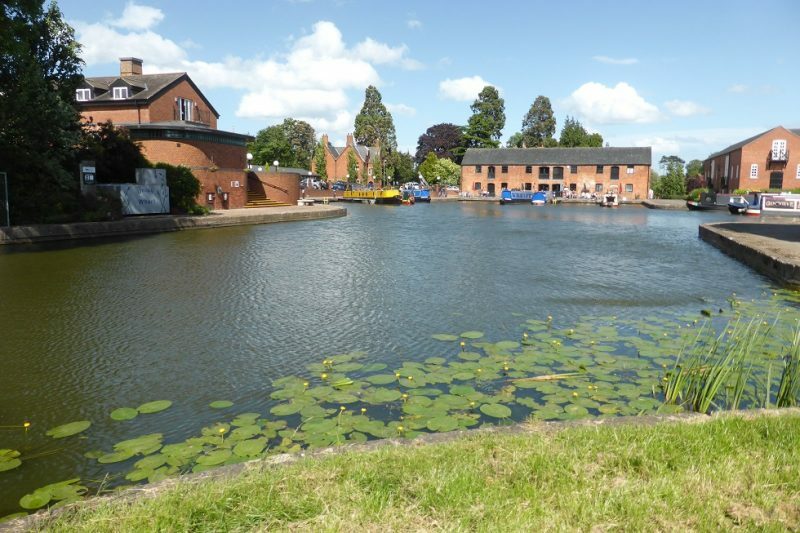 We’re planning to leave Yelvertoft (just to the left of Rugby on the map) and head down thru Watford locks to Braunston, then head down to Napton, towards Warwick, north Stratford canal and then to Wolverhampton and onto the Shropshire Union (Shroppie) all the way north. 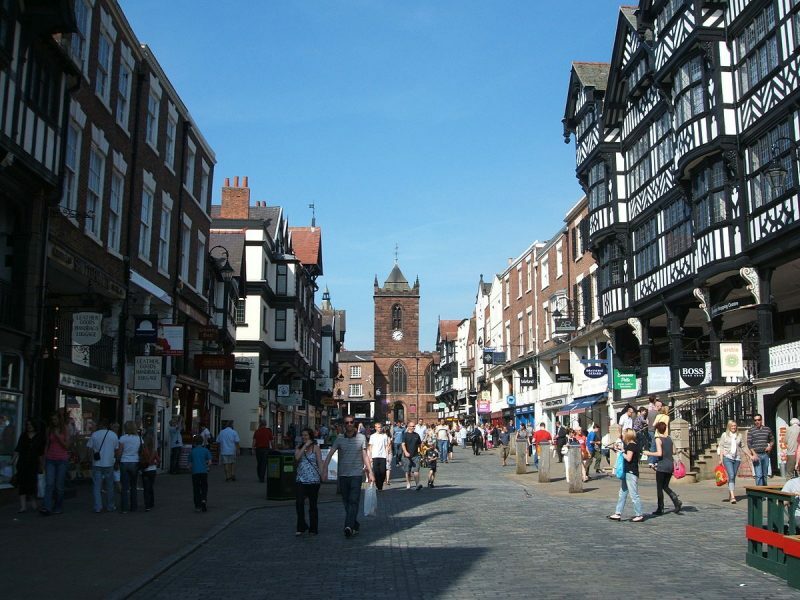 Popping to Chester, Ellesmere port (boat museum) and maybe travel down the Montgomery, as far as we can. Maybe do some walks on the yet-to-be-restored sections. Leaving probably 4th July, back in September. P.S. only allowing registered & logged folk to post comments – sorry but I get tooooo much Spam. 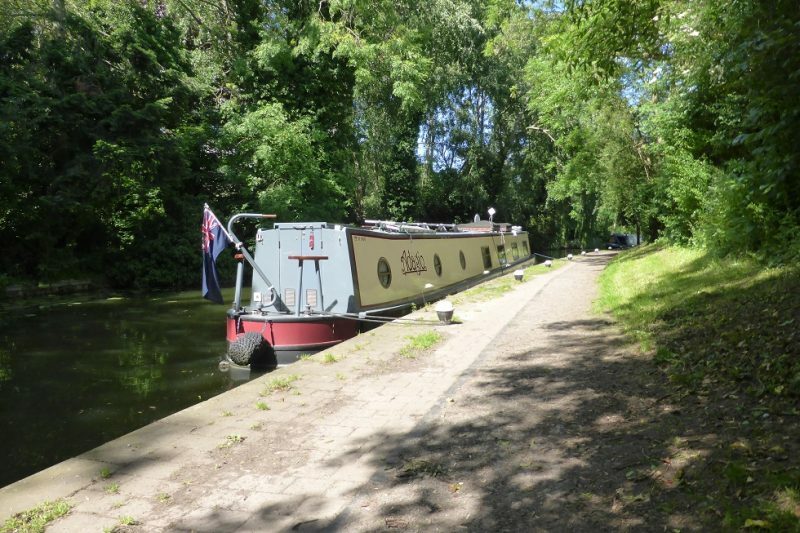 We left MH on the Monday, stopped just before Foxton locks for the night. This is where Viv dropped her glasses off her nose and into the drink. 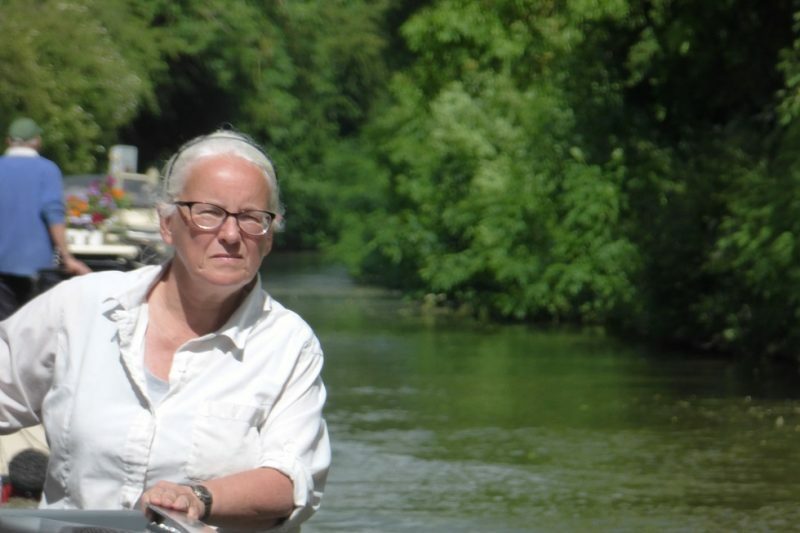 I wish I’d taken a photo of her fishing – for hours = but to no avail. New specs please. After a long day, up thru the locks and on and on to our favourite place, bridge 27 (Mountain Barn Bridge). 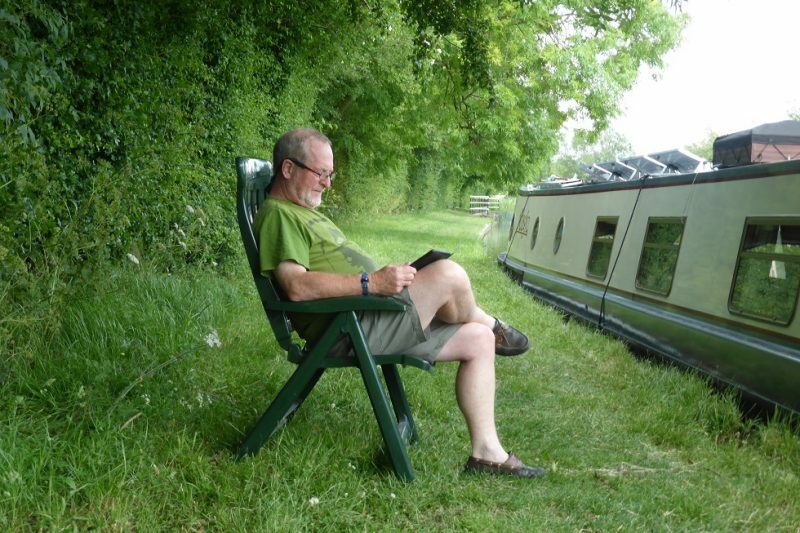 A few days here and the weather is good – chust sublime! Time to get the Kindle out & chill. I know, only old fogies do this . . . but then we are! 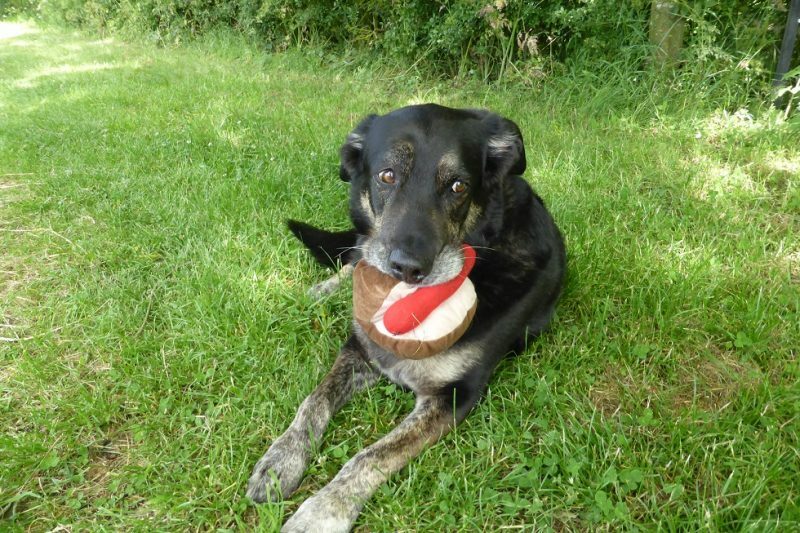 The ever-watchful mutt is keeping guard with “that toy”! 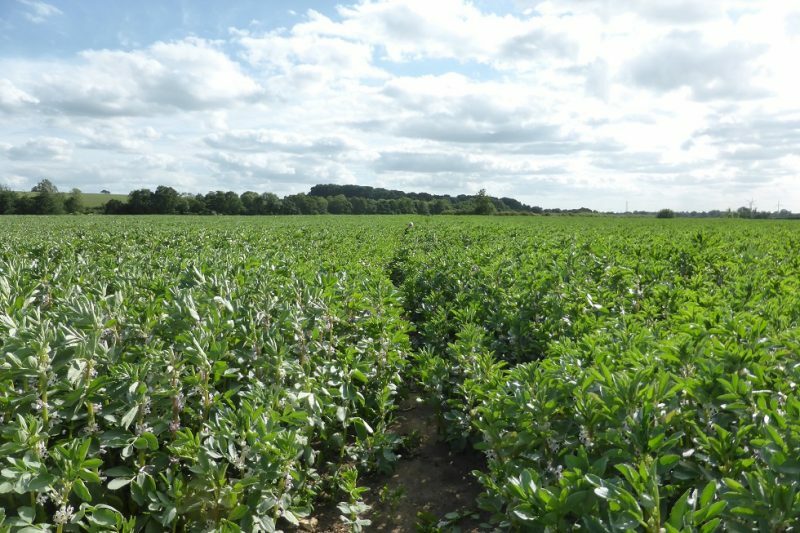 A circular walk took us through a nice bean field – but what’s that lurking? Not blackfly? Yep, Steve playing silly B’s. Back to marina land tomorrow. 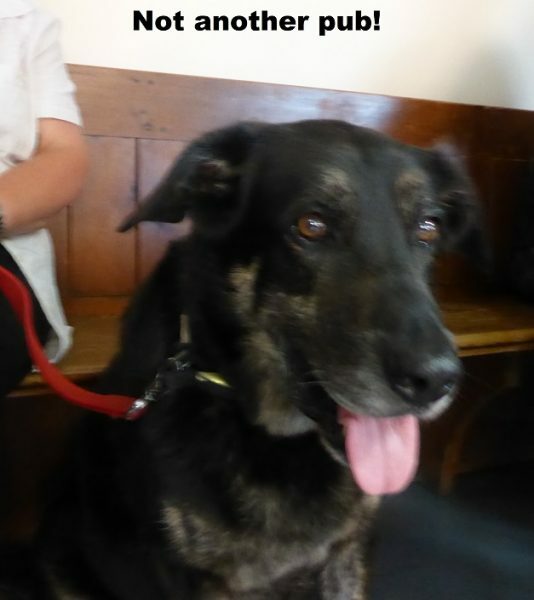 John & Christine (and Tilly) are due to visit – such larks are afoot!! 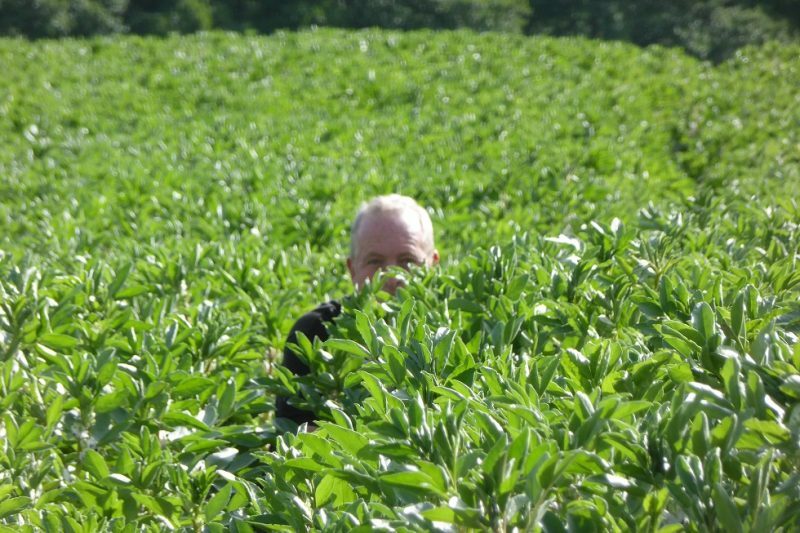 Poor David managed to snag a nasty cold and so couldn’t join us for a short trip to Welford & Market Harborough. 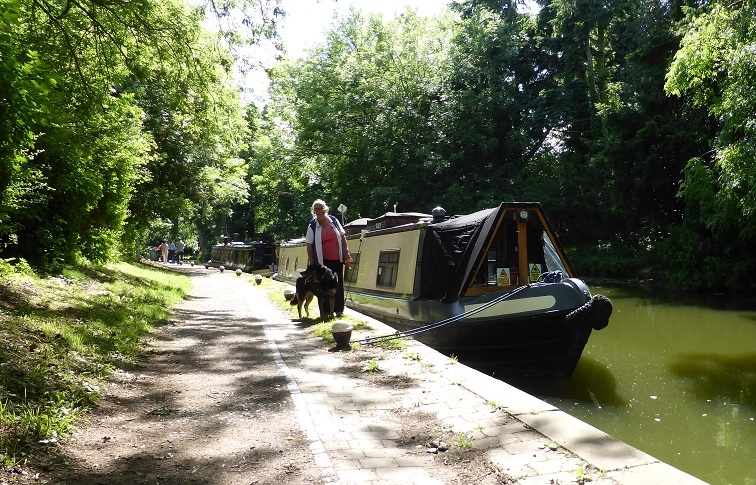 So we went anyway – sort of trial run plus it’s what the boat’s for . 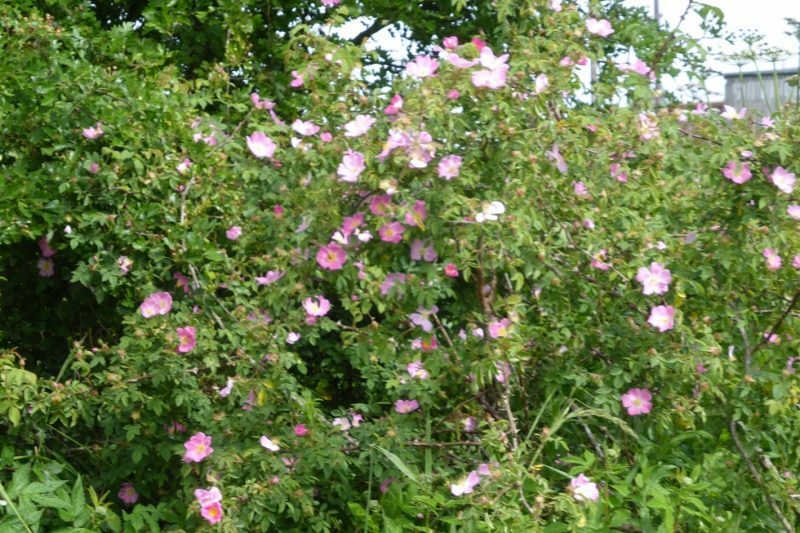 . .
Lots of dog roses out at this time of the year, whites, pinks and reds. 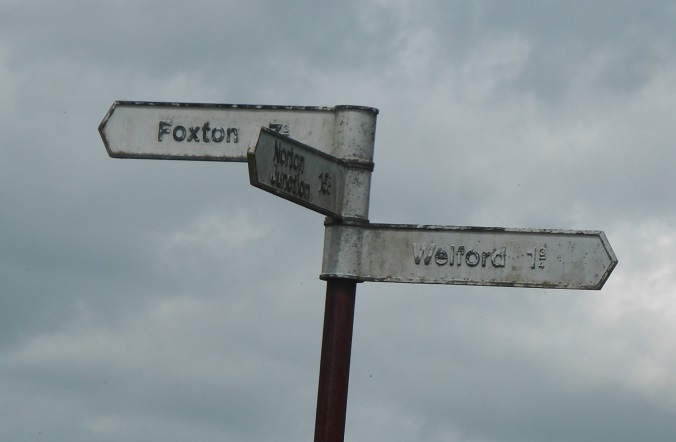 No pix of Foxton locks, we’ve done all that many times before. 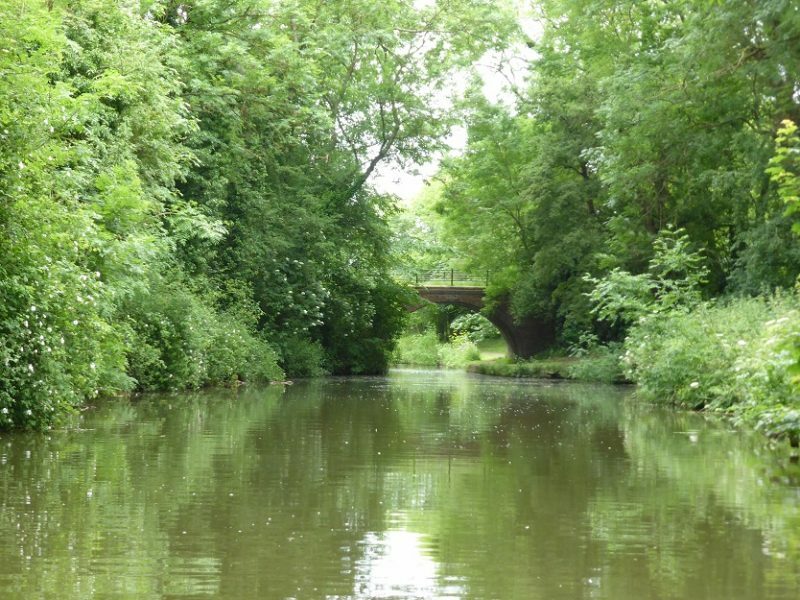 But the arm off to Market Harborough is very scenic and usually very full of Kingfishers but not today . . . 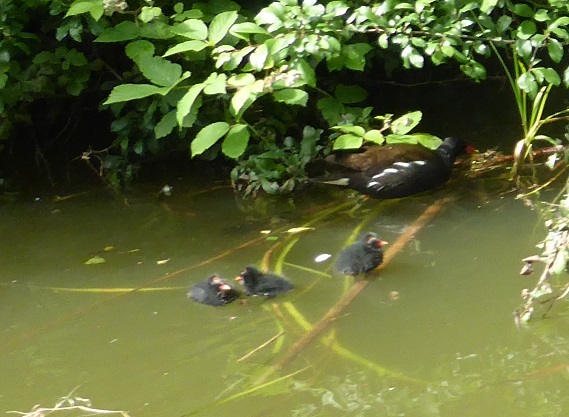 It is however, full of chicks – moorhen ones . . . .
Viv gets to drive and always seems to get the tricky bits, like a boat coming towards her, awkward bridges etc . . . but she does do very well! 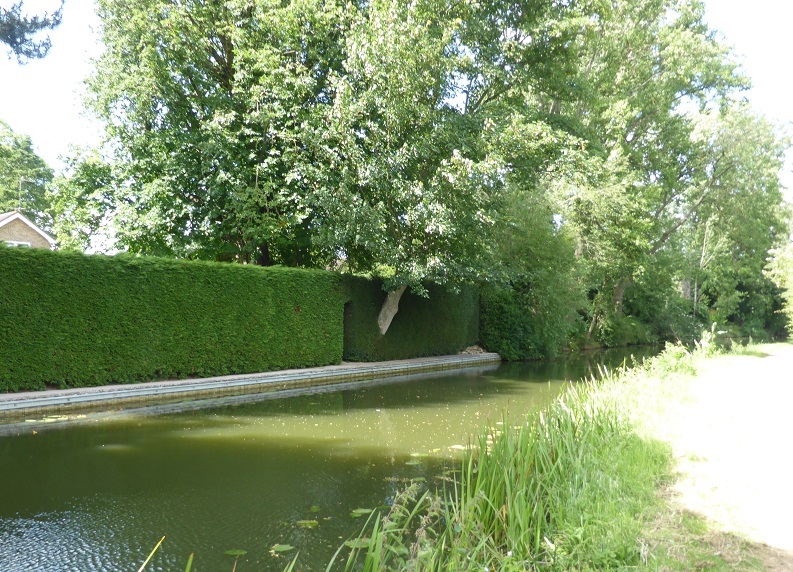 After an hour of rural bliss you suddenly come into suburbia, with large mown lawns and trees through hedges? 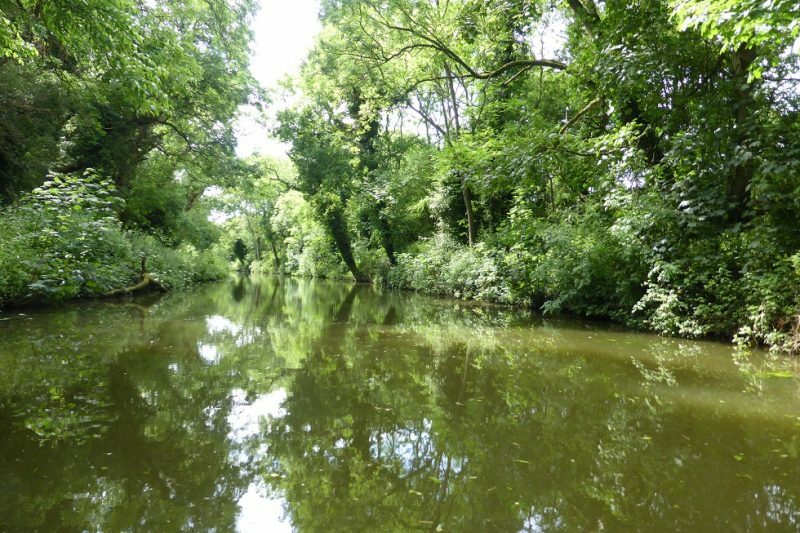 This is just before the basin, with facilities, hire boats & permies . 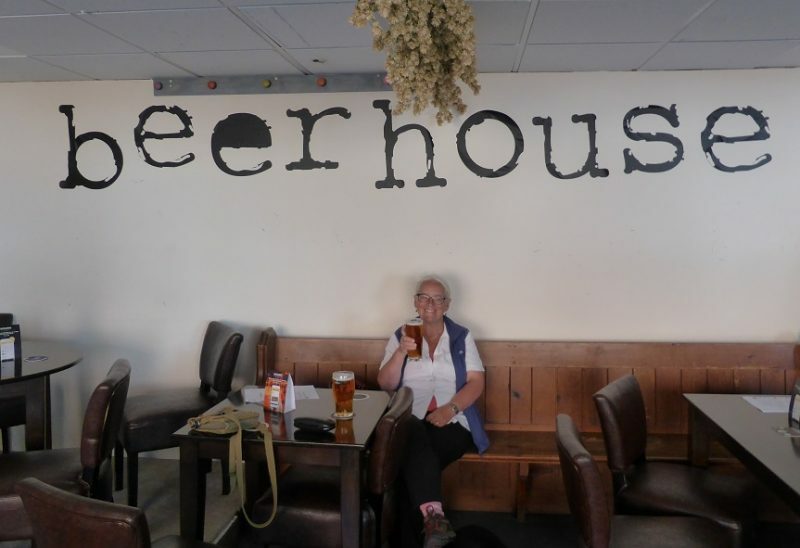 . .
One of the must-see places is the newish micro-pub, not so micro with 10 real ales and six ciders – the Beerhouse! Bit of a stroll from the Wharf but well worth it. Viv ties the Kalika & then Pull the Other One! 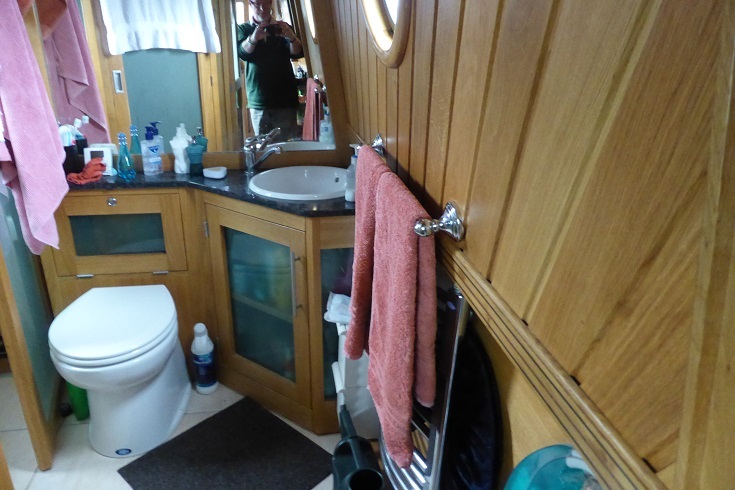 Ah, that all-consuming topic with boaters – toilets! After the “let’s throw the hop & yeast residue down the pan” mishap, I got to know the ins and outs of the Jabsco macerating, flesh flush toilet system quite well. Brand new these babies are £652 !! You have to unscrew the four long screws that hold the whole thing down, swivel the whole away from the wall and get at the bits from behind! All done and item No. 2 is now fitted. Hmm, £102.99 ex. VAT ! I don’t fink so! Let’s take it all apart and sure enough the valve had not shut – I could easily blow thru the pipes. 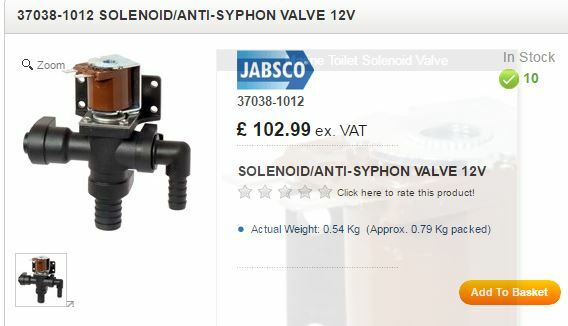 I pushed a screwdriver up it, despite Corporal Jones’s advice and found I could push the valve up and down. I then tried to blow thru and couldn’t. Ha! Problem solved. Probably a bit of grit stuck in the valve – reassemble and so far, all’s well. Finito de fretto. Being a bit of Muppet at practical things, I now tie a folded kitchen tissue around any pipework that I’ve worked on . . . in a “just in case” it hasn’t worked. Oh, a new towel had arrived. So another job to fit that. The old one was very proud from the wall and we kept hitting it! This one is much simpler and neater. Please, no more bathroom issues for a while! Posted on 05/06/2017 1 Comment on Going through the motions! 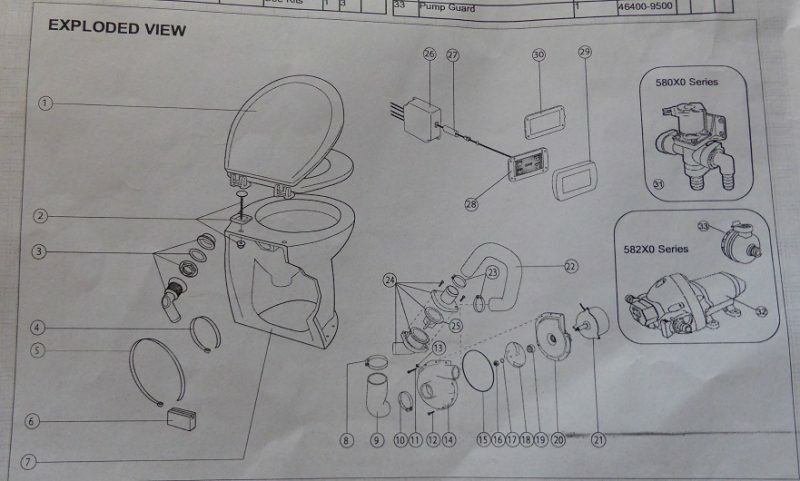 I know the blog is about the boat & boating but the spare parts for the Jabsco toilet had arrived up at Sawley Marina, only took four weeks! A direct order could have seen it arrive the next day. Another “learn from this” problem. 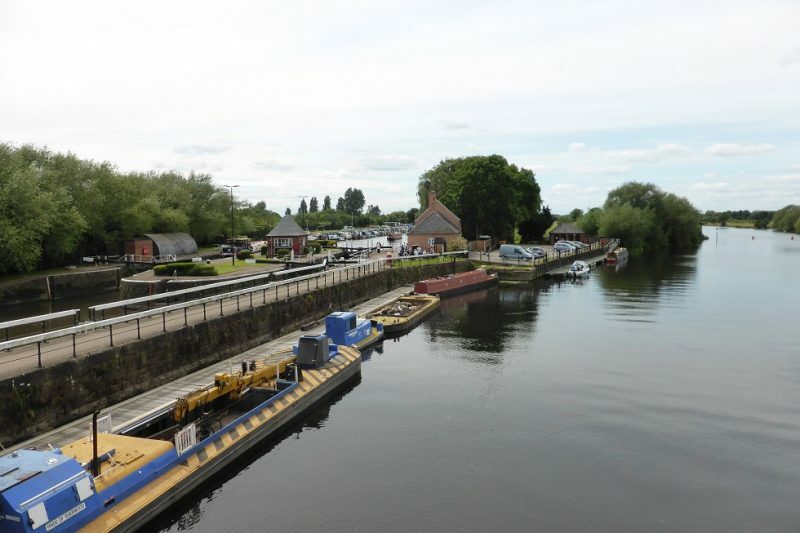 Serendipitously, it meant that we could plan a day trip from Yelvertoft back to Sawley. A matter of a 50 mins drive up the M1. 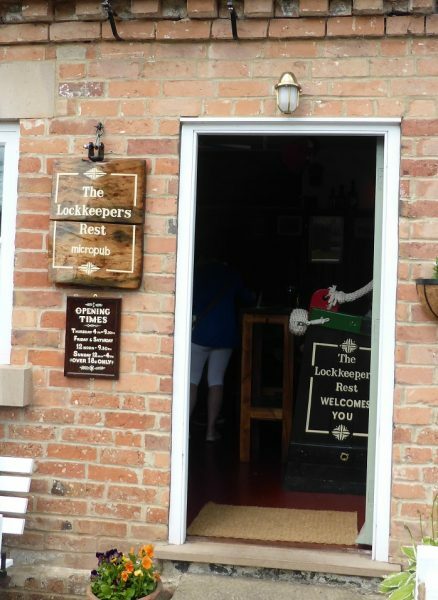 And, more importantly, visit Dave and his magnificent Lock Keepers Rest, micro pub. I asked him how successful he had been in the two lots of Thurs – Sunday openings and he said, very well indeed. 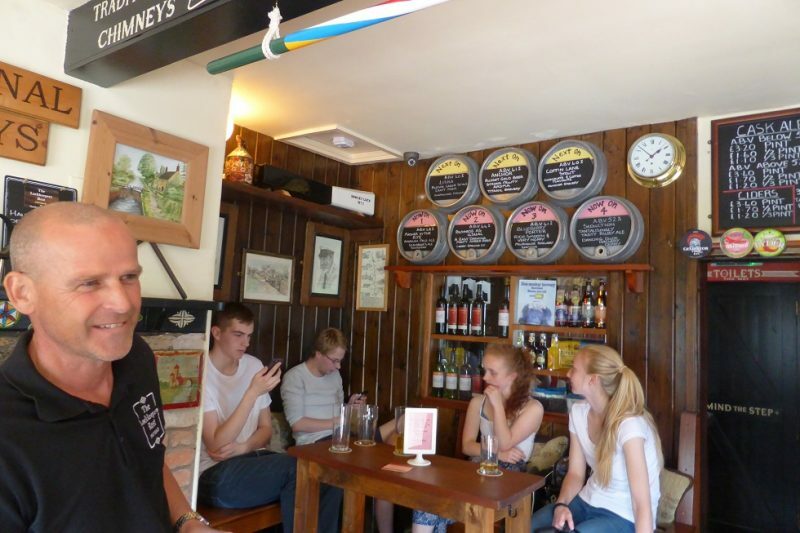 In fact, he had sold out of every drop of beer and ciders! 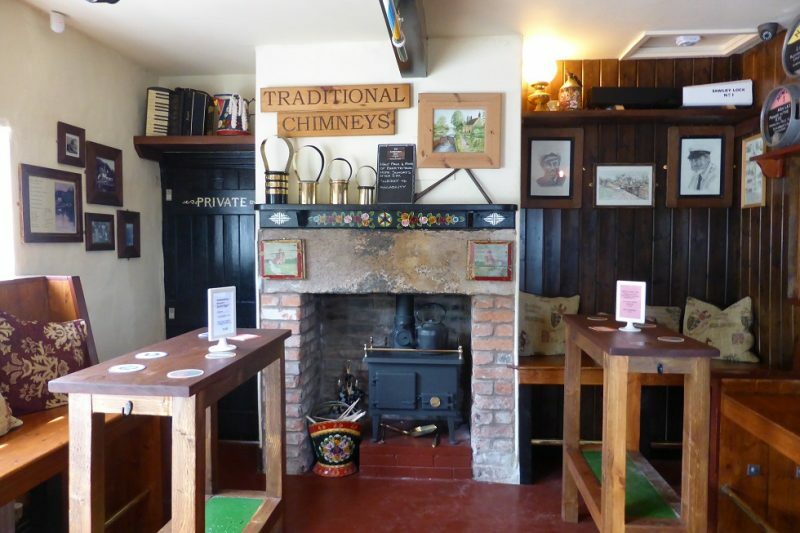 A lot of time & effort has gone into making this one of the best looking micro pubs I’ve ever seen. Love the “what’s on now” beer signs! All the furniture was hand made by Dave and feels very cosy. Should be good in winter with the ex-boatman’s stove. 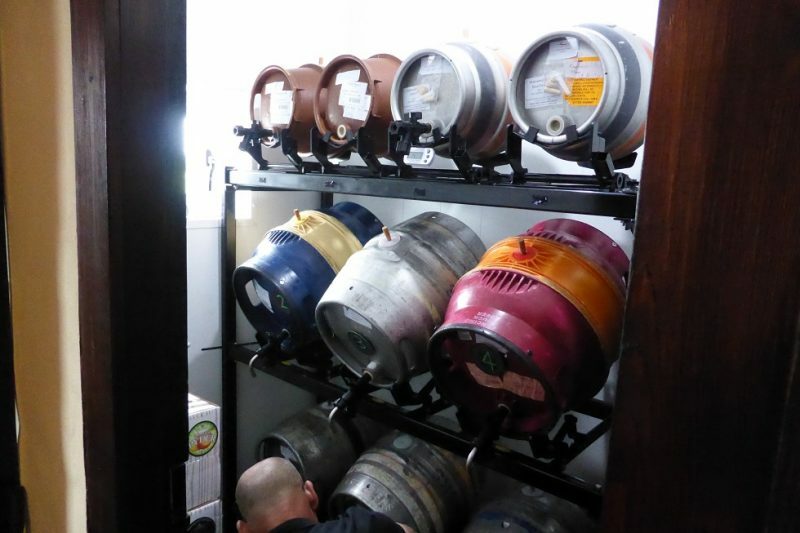 The beer & ciders are kept in a separate, cooled cellar. Nice tilting racks! It’s in an odd but also ideal position. 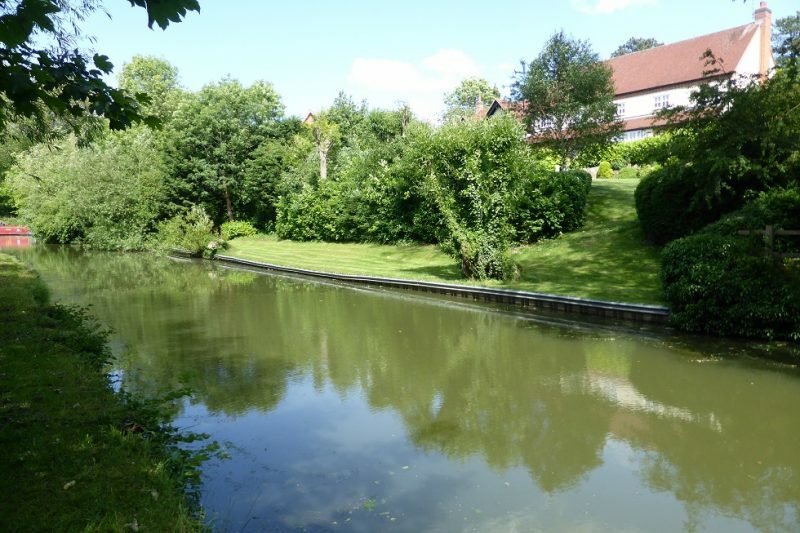 You can not drive to it but as you can see it is at the hub of the waterways and on a popular walking/cycling route. 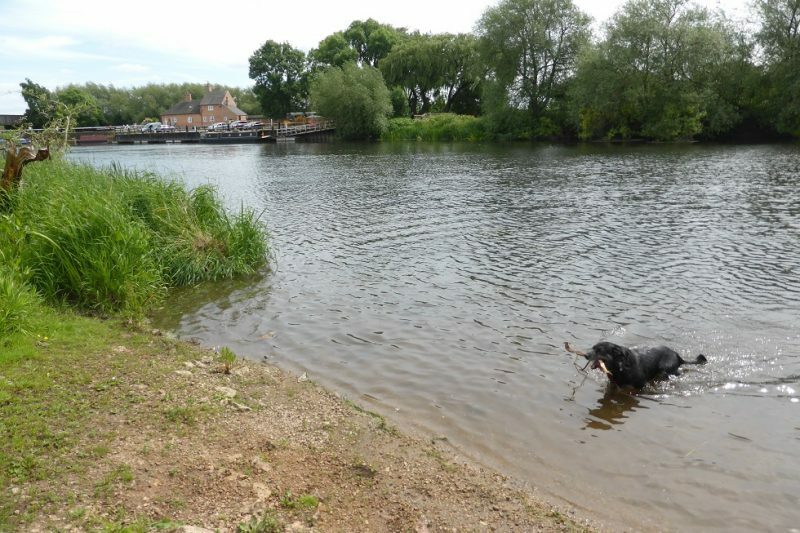 We didn’t forget Toby, just around the corner is a lovely beach to give him a nice, clean swim in the river Trent. Another Techie Bit – Batteries! Not really a blog item. It’s another techie bit. Maybe hoping for a reader to pass comment? When we first bought the boat, we knew that the batteries were the original ones, which makes them getting on for ten years old next year. I’m guessing that if the engine hours are anything to go by, then the batteries have not really had nearly ten years of being cycled and being Victron AGM’s, they’re quite happy sitting on the shelf, they don’t self-discharge very much. So, perhaps we have a few more years left? 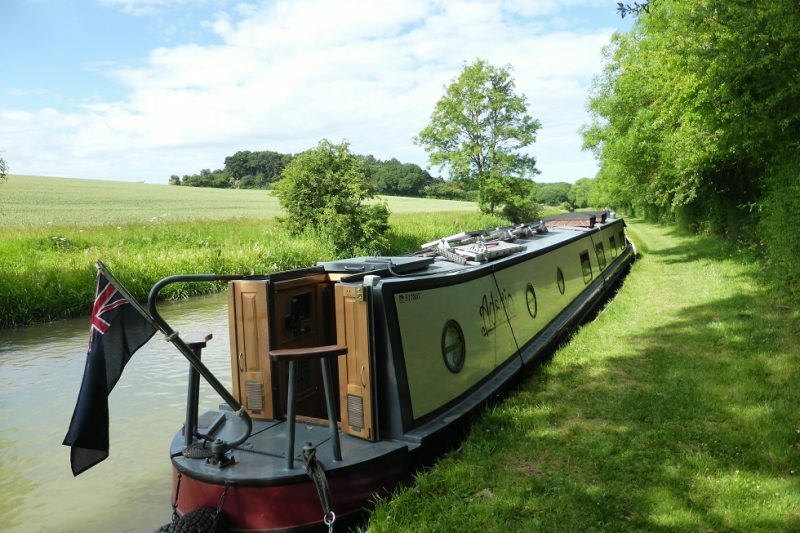 It was the major worry when we first bought her but it’s odd how “worries” sink down below other worries which rise up – like the dripping stern gland. It’s now three and a half years since we’ve owned the boat and there are signs of unhappiness in the battery department. When recharging them via the engine (it has a 230V alternator and so supplies the Victron box with up to 3.5 kW of juice), it’s set at 90A and the Victron used to go through it’s four stage charging – bulk (lots of amps), absorption (constant high voltage ~ 15 V, low current) and then float. Passing through a “battery safe” mode to limit initial current. It used to stay on bulk for a while but now it shifts to absorption after only a short time. An indication of lack of depth of charge? We’re not too worried as it goes and it stops. It never gets below 50% (usually never below 65%), so it shouldn’t be a worry. I had to turn off the 4-stage charging as it went to float too quickly with the solar panels on. It now does an eight hour absorption then floats. One small and probably wildly inaccurate test was to use the Smartguage device which gives me a readout of the capacity in %. It went from 75% up to 90% in one hour. So that’s 90 amps for an hour. Meaning 90Ah represents an increase in 15% charge . . . scaling that up . . . 100% should equate to about 600AH, which is the stated capacity. A bit rough n ready but maybe they’re OK for a while anyway. The cost of a new set – like for like is around £1200 plus fitting although I found a nice outfit in Market Harborough who would fit them for free (well, recouping the scrap value of £30 a battery covers that!). They will be a pig to get out, weighing in at 65 kg each and in an awkward place . . . . I plan to disconnect em all and test each one to see if just one is a bit off. That’s for another day!